I am so happy with the results of my wellness journey so far. 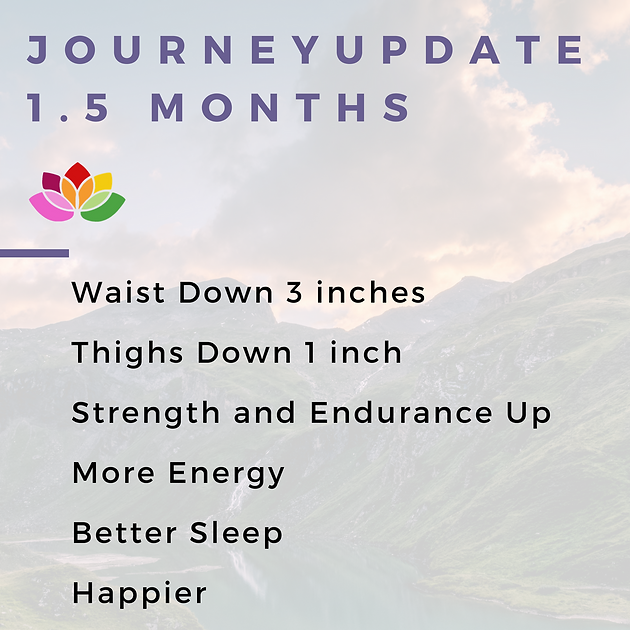 Since starting on August 10th I have seen so many improvements to my overall wellness. What am I doing to have these awesome improvements? I am working with a personal trainer over at Xperience Fitness in Waukesha 2x a week, his name is Josh F. He is amazing! He meets me where I am and pushes me just the right amount. I started out not even being able to use weights while doing most exercises but am now up to 25 pound dead lift (which is amazing for me!) It is all about improving yourself, not comparing yourself to others, which is really easy to do at the gym. However, I keep telling myself that everyone has to start someone and I am getting stronger and feeling better which is what matters. I am doing Cryotherapy over at Cryofit in New Berlin (visit mycryofit.com). I started out with 3x a week for the first two weeks and now go in once a week for a freezing session. There are so many benefits to Cryotherapy but the main ones for me are faster muscle recovery from workouts, better sleep and better mood. At Cryofit in New Berlin, I also receive Vitamin Injections - including B-12 and B Complex. I started out 2x a week for 4 weeks and now receive them once a week. These help me to have way more energy and sleep better at night! Everyone thinks of energy when they hear B Vitamins, but did you know it helps you sleep as well? I have a few different oils that I use regularly for my needs. I diffuse oils at my house and in my office at work. I also wear my diffuser jewelry so I can have the benefits of my oils wherever I go. I love the blend Console which I use when I am feeling down or anxious (I keep the roller bottle in my purse)! I also diffuse oils at night in my room to help me relax, wind down and sleep well. Do you want to improve your wellness? For the next 4 weeks (ending October 27th) I am offering complimentary consultations! Contact me to book your consultation at wellnessbyellie@gmail.com.